Are These The Most Extreme Wedding Photos, Ever? Newlyweds are usually all wrapped up in each other - but these shots show the couples who take it very literally indeed. These incredible images are of shrink-wrapped wedding couples who risk DEATH to get the most up-close wedding photographs that they can. 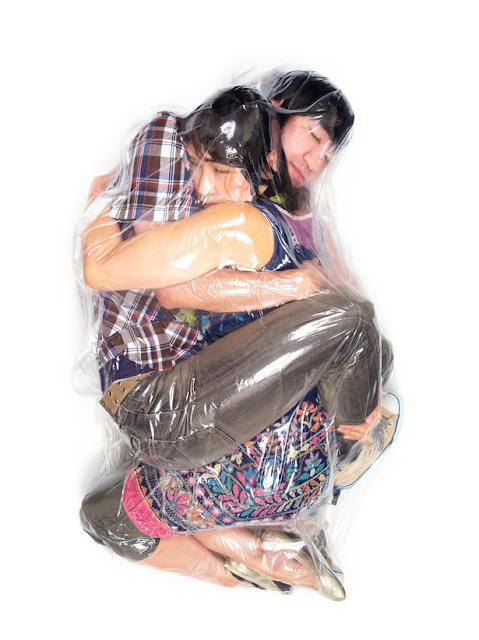 Photographer Hal Kawaguchi covers the lovebirds in lube then vacuum packs them together in a huge plastic bag - sucking out all the oxygen. The couples have to hold their breath for about ten seconds or more while the process takes place. But the Japanese snapper reveals that he even keeps a paramedic on hand - as the suffocated couples must hold their breath and he has just four seconds to take the shots or else disaster could happen. » Are These The Most Extreme Wedding Photos, Ever? » Is It True That White Privilege Is Extreme In Nigeria?